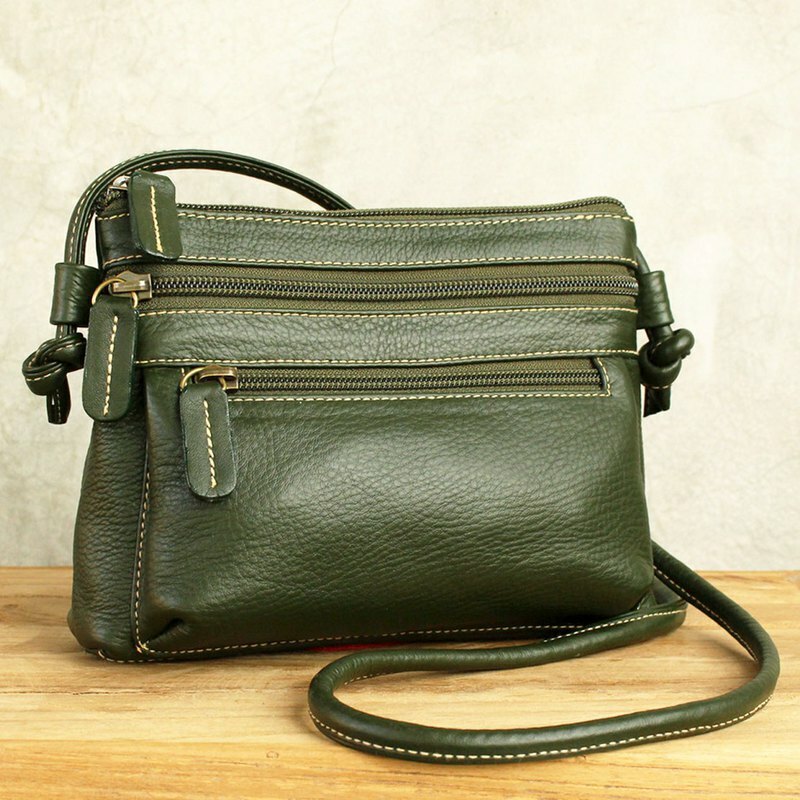 Mini Cross Body Bag - Cookies - Green color Lightweight bag made of comfort touch genuine cow leather with Very comfy leather shoulder strap (unstructured) Interior features -- 2 front zipper pockets 1 back zipper pockets 1 zip top pocket with 1 zipper pocket inside Size : 14x20x4 cm. (HxWxD) plus 1.5 cm. depth front pocket 140 cm. Leather shoulder strap that can adjust by knotting the length as you desire Color : Green **Please allow for some variation in color as displayed on different devices and screens. Actual colors may vary. Black : https://th.pinkoi.com/product/3HnRHXwU?category=1 Burgundy : https://th.pinkoi.com/product/vbTe4TCA?category=1 Material : Genuine Cow Leather, Cream suede-like fabric lining--easy to find your essentials!! Expected Delivery Date : For Taiwan , Hong Kong and Macau destination, your orders are estimated to arrive within 7-14 business days.